Here's a video where I talk about Blue Christmas and then do some drinking. 1. Pour 1 1/2 oz of bourbon into shaker. 2. Pour 1 1/2 oz of brandy (we used Cognac) into shaker. 3. Add 1/4 oz of maple syrup into shaker. 4. Add 2 dashes of Bittercube’s Cherry Bark Vanilla Bitters into shaker. 5. Add 6 milk ice cubes* into shaker. 7. Pour into rocks glass with one, large milk cube. 8. Garnish with cinnamon stick. *Simple. Freeze milk in an ice tray same way you do water. For the one large milk cube, we used this. Another kind and smart review of Blue Christmas. "So pour yourself a drink, put on Elvis or your own Christmas-mix CD, and give Blue Christmas a read as a welcome break from the usual holiday routine." "She drives home with her fake Ray-Bans on and the radio blasting. Power 96! Amy Winehouse or someone like that. This s Saturday, Christmas Eve, in South Florida, and, still, you could just die from the heat. At the light on Federal by the high school, she changes the station to oldies. The Stones' 'Miss You.' She csranks the volume up to twenty-nine. She sees a woman outside the Dixiewood Motel, wearing snug red shorts, a Santa T-shirt that says HO! HO! HO!, polester antlers, and Rudolph nose that lights up whenever a car appraoches." "A Wild Night and a New Road"
John Dufresne is the author of four novels, two collections of stories, two books on writing fiction, two screenplays, and a play. 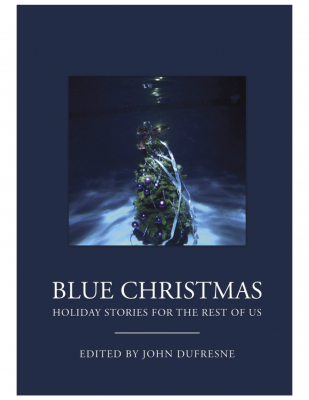 He edited the anthology Blue Christmas. And he is I. We had a great SRO Blue Christmas party at Books & Books in Coral Gables. Blue mojitos, a blue Christmas cake, and readings by Lynne Barrett, Diana Abu-Jaber, Robert Goolrick, and Les Standiford. Lynne and Jon Clinch and Colin Channer and Ann Hood and I will all be at Newtonville Books this Thursday at 7 P.M. if you can make it. And if you can't, you can buy the books here. "Into the riverman's life the dog enters like a thing freely given. The man awakens in his frozen bed one morning and he stirs up the fire from weary embers and he steps out onto the porch all swept about with snow to assess the dawn, and from down along the riverside the thing barks up at him as if she has him treed." Jon Clinchis the author of the novels Finn and King of the Earth. He's been an English teacher, a metalworker, a folksinger, an illustrator, a typrface designer, a housepainter, a copywriter, and an advertising executive. He and his wife live in the Green Mountains of Vermont. 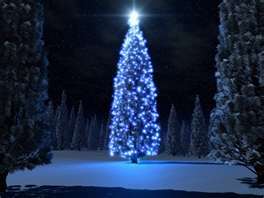 Join us at Books & Books in Coral Gables for a Blue Christmas Party tonight December 10 at 7 p.m. If you can't make the event, you can still buy the book here. "I wake up in the dark. Au bout de la nuit. 4:06 on the LED. Take a leak. Cigarette. I know I shouldn't; I mean, in general, generally speaking, nobody should, not after everything we know, not after we've watched loved ones die, not to mention movie stars, but I do. I'm an addict. But I especially shouldn't smoke at 4:06 when I have hope of getting back to sleep. It makes my heart race." "The Place I Really Live"
Robert Goolrick is the author of the critically acclaimed memoir, The End of the World As We Know It. His first novel, A Reliable Wife, was a #! New York Times bestseller, and winner of both the NAIBA and Book of the Month Club First Fiction Award. He lives in White Stone, Virginia. Join us at Books & Books in Coral Gables for a Blue Christmas Party this Saturday. December 10 at 7 p.m.
A review of Blue Christmas in the Miami Herald. A piece here in MiamiMiamiBeach.com. And at the December 10 entry in the Sun Post. And here in Miami New Times. "On the way out the door I turn to Gramma's whisper telling me to take a good look aournd when we get there. I wink back at her like we do, and then I'm gone. My dad is driving us back to Cruz's new apartment because my cousin forgot to bring his Christmas gift for Gramma." Tricia Bauer's new book, Father Flashes, won Fiction Collective 2's Cathering Doctorow Prize for Innovative Fiction. She has published four other books of fiction. She works in publishing in Manhattan and lives in Connecticut. "Once upon a time, there was a dragon who took the form of a man. And the dragon who looked like a man lived with his wife and three children until they could not take it anymore and they left him." Preston Allenwon the Sonja H. Stone award for his story collection, Churchboy and Other Sinners. He is the author of the novels All Or Nothing and Jesus Boy and has been anthologized in Las Vegas Noir, Miami Noir, and Brown Sugar. 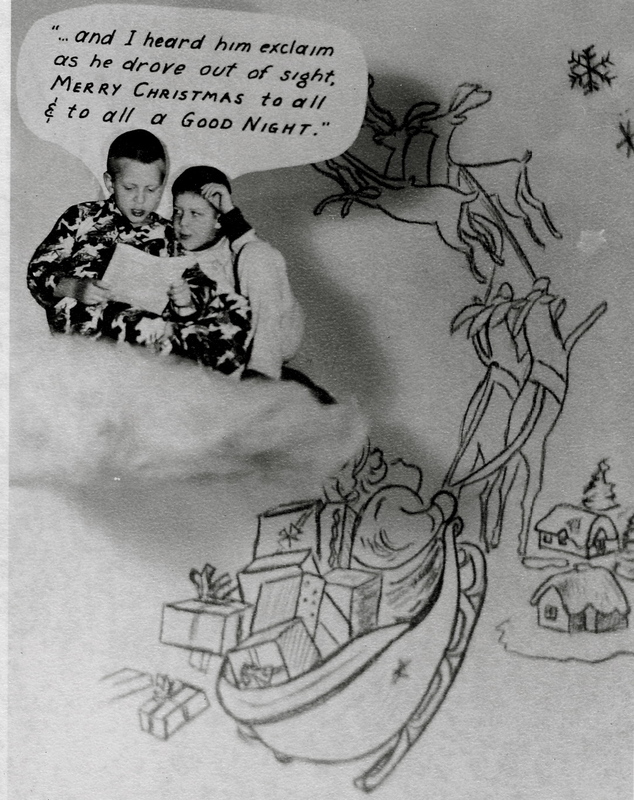 "Bull Markham put up the Christmas tree every year on December first. Unpacking it from the long box that was stored in the attic. The center pole, the rotating stand that buzzed as it circled, one complete rotation every two minutes. Bull inserted the hundred and fifteen prongs with aluminum foil branches frilly with aluminum needles." "Good Forever"
James W. Hall is the author of seventeen novels, the most recent of which is Dead Last. "The house is still here, on Powers Street n Brooklyn, though now there is a pair of bicycles chained to the fence outside the basement apartment, where no doubt a couple of urban professionals live, or perhaps artists, the area ripe with artists now." "Where Are You All Now?" Ed's latest novel, The Family Corleone, has been developed from pages extractred from mario Puzo's screenplays for the next two unproduced Godfather movies. It's due out in June 2012. He's the author of the novels Wolf Point and Saint John of the Five Boroughs and the short story collections Acid,Sabbath Night in the Church of the Piranha: New and Selected Stories. He directs the Creative Writing Program at Virginia Tech. Join us at Books & Books in Coral Gables for Blue Christmas Party this Saturday, December 10, at 7 P.M.
"The woman's in our backseat before I can say shoo. A skinny thing with too much eye makeup and a high forehead that shines in the glow from our Buick's dome light." -- "Anywhere, Please"
Lee is the author of four novels, including his most recent Break the Skin, and the Pulitzer Prize finalist, The Bright Forever. His stories and essays have appeared in Harper's, Ms., The Georgia Review, Creative Nonfiction, The Southern Review, The Kenyon Review, Prairie Schooner, Glimmer Train, and elsewhere. He teaches in the MFA Creative Writing Program at The Ohio State University.